Are you considering using multi-spindle heads to machine your parts? Learn about some of the benefits your business can have when you make the switch. When one part needs to undergo several different operations, it’s simpler to use the same machine to perform these different functions. In fact, because a multi-spindle head can hold up to 24 spindles, you can machine different parts without stopping to switch heads or machines. You can even have adjustable and fixed spindles on the same head. 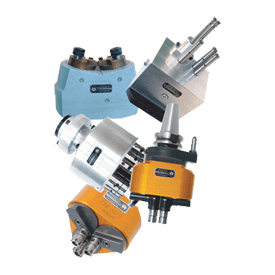 Because one head is performing multiple functions, the time it takes to drill, tap, ream, and mill a part is reduced drastically. Not only will you save time on each part, but in turn, your overall productivity will increase. Ready to take advantage of the reduced time and increased productivity? Contact Euro-Technics, Inc., today! We want to help your business do what it does best—and do it faster!